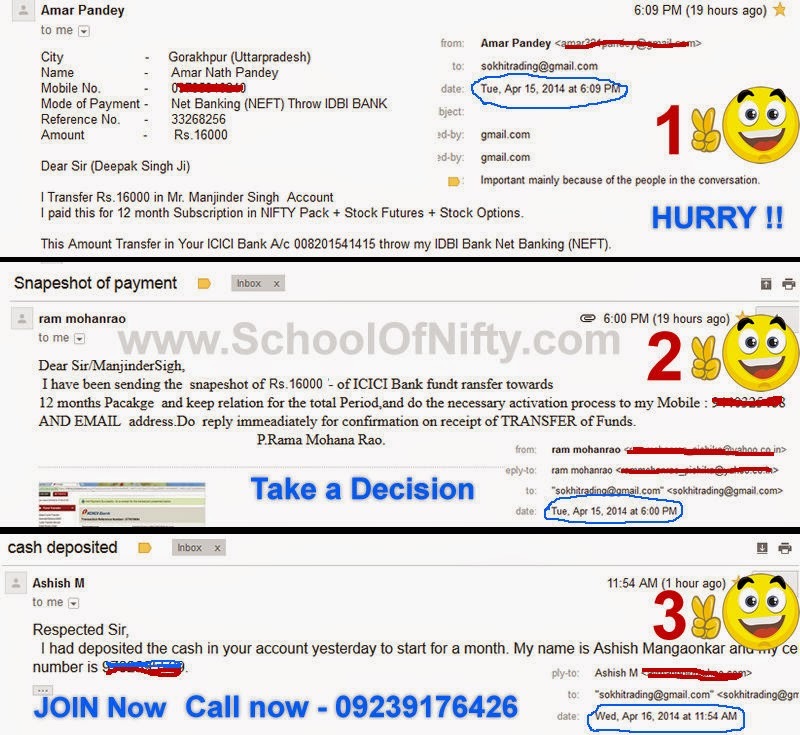 Yesterday Mr. Amar Pandey, Mr. Rammohan Roa and Mr.Ashish M have all started their journey with SOKHI TEAM and the trades they have entered are already in good profits. Please do not fall for advisory services who daily shoot 2-3 trades with Target 1 and Target 2 or with Buy above and Sell Below levels which according to me is Fake Trading. We as TEAM enter a TRADE and either EXIT or BOOK PROFIT at one rate in live market.